As you may have read in the first installment of Wisconsin in Fall, I took my parents, Allan and Iva to Wisconsin last October to see the fall colors and to visit family and friends around the Reedsburg area. 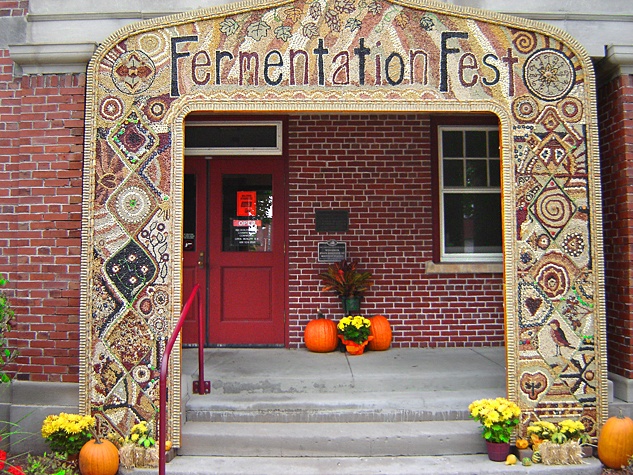 While there, we also went to the Fermentation Fest: a week-long celebration of all things rural, which takes place the first week in October. Throughout the week there is food, music; and classes you can take to learn crafts, how to cook local foods and how to make wine, apple cider, beer, cheeses and breads—everything that requires fermentation. 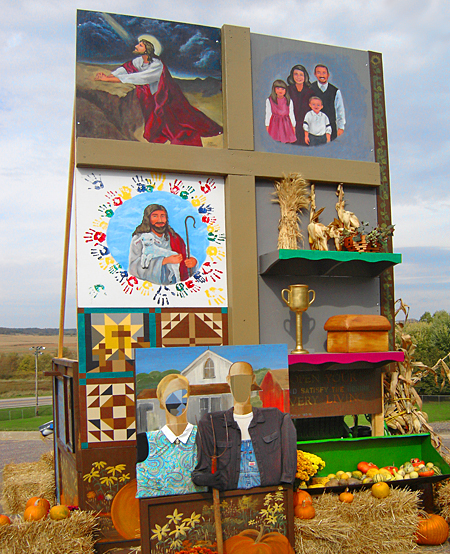 The centerpiece of the festival is the Farm/Art DTour: a fifty-mile tour of scenic back roads around Reedsburg where local and national artists come to display their artistic talents in the rolling farm fields along the route. Start of tour at Reedsburg’s restored train station. 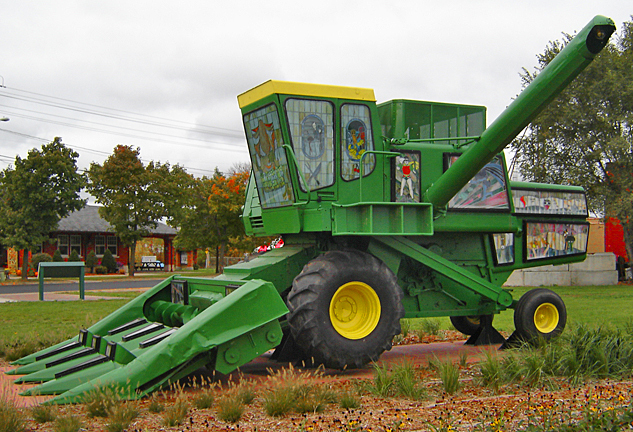 Combine “Ruminant” donated from the original Fermentation Festival. 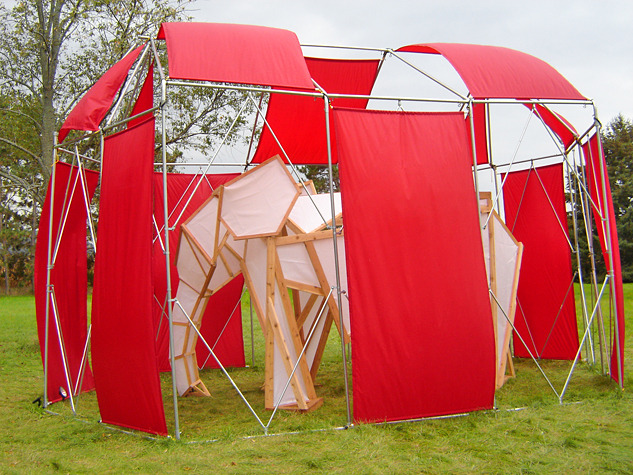 “Elephant in a Tent”, to honor the soon-to-retire elephants with the Ringling Brothers and Barnum & Bailey Circus, headquartered at nearby Baraboo. 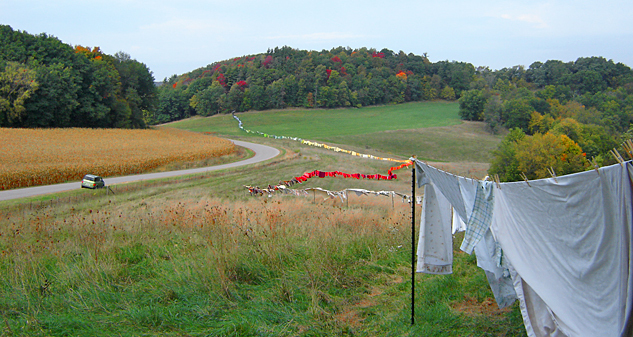 Three-quarter-mile-long clothes line. Proves art is in the eye of the beholder. Church’s masterpiece depicting rural life: faith, family and farming. 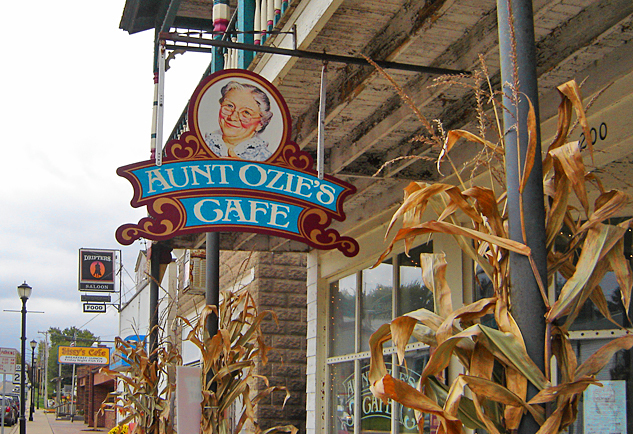 Aunt Ozie’s Café, in an 1800’s-era store front building in Loganville. Inside it’s decorated with antiques and paintings painted by the owner. Over 20,000 people attend Fermentation Fest every year so Aunt Ozie’s had a special menu of sandwiches. I had the club sandwich on marbled rye, which was great! 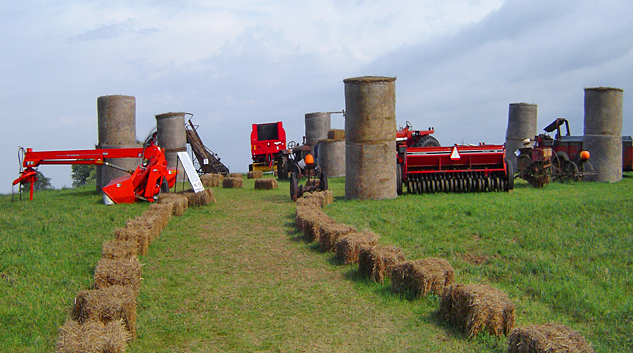 Rural farmland version of Stonehenge. 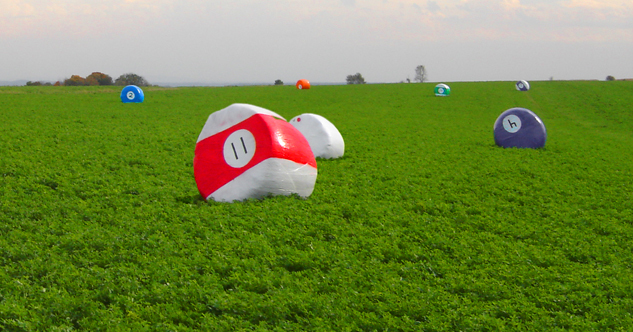 Larger-then-life billiards, but somebody else will have to rack them! 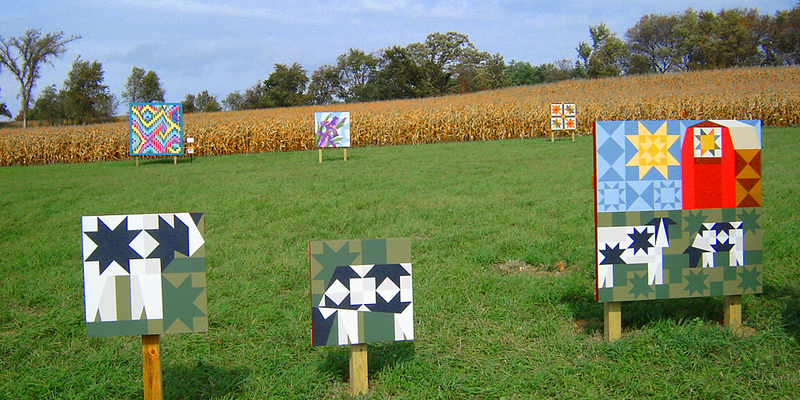 This is only part of the art displayed on the Farm/Art DTour. It was a wonderful way to spend a day in rural Wisconsin. Maybe next year I’ll bring my bike and pedal my way through the tour.